With just 11 days until Halloween, it’s time to get your Netflix streaming on in full force. I’ve compiled a list of family-friendly movies and shows for you to stream from Netflix and maybe get a little scream on, too. Want some thing a little scarier? 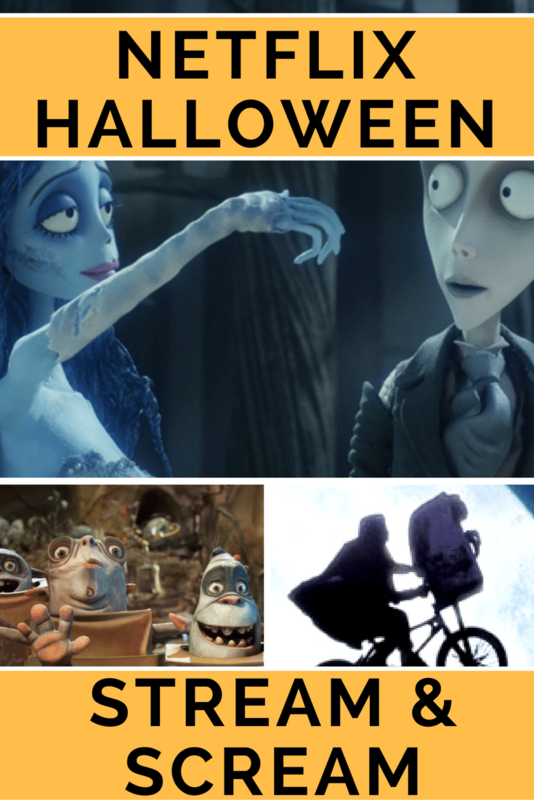 Check out this list of Halloween Flicks for adults. Some of these are classic Halloween and family movies. Others are newer shows that have a Halloween or spooky twist at some point. It’s been a while since I’ve seen E.T. so I’ve got a couple days to get our Halloween shows in before it’s time to start thinking about Thanksgiving and watching all of the Turkey shows. What’s your favorite Halloween movie to stream? Adams family was my favorite as a kid. Now I have to go back and watch it to see WHY it’ PG-13? All the violence, I think?